Stren® Original is America’s most recognizable fishing line in the familiar purple box, and the leader in all-around dependability. Time has proven it a winner. Stren Original offers anglers unmatched knot strength, toughness, and handling. Its unique formulation has set it apart from the rest of the field for decades. The dependable choice for any fishing situation. 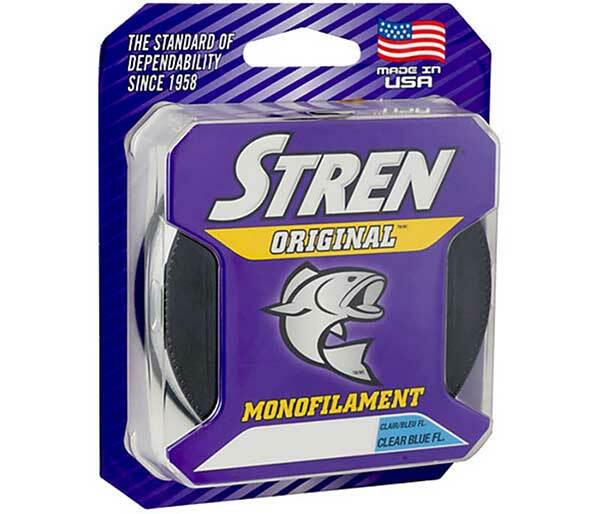 No wonder Stren Original was Rated #1 among monofilaments tested in the October 2001 issue of Sport Fishing Magazine. Now available in a new low-sheen clear that's nearly invisible under water. Low Memory - Lays on the reel beautifully, casts like a dream, will not take a set and is always easy to control. Superior Knot Strength - Knots draw smoothly and cinch tight. Commonly retains 100% of its line strength. Tough/Abrasion Resistant - Stands up to extreme fishing conditions.